I’ve been becoming obsessed lately with the idea of a custom drawn monogram. I came across the work of Caroline Brackenridge of Monogram Inc. and loved the antique linen-inspired designs. Gorgeous. Work from the portfolio of Caroline Brackenridge. Custom work from $450. 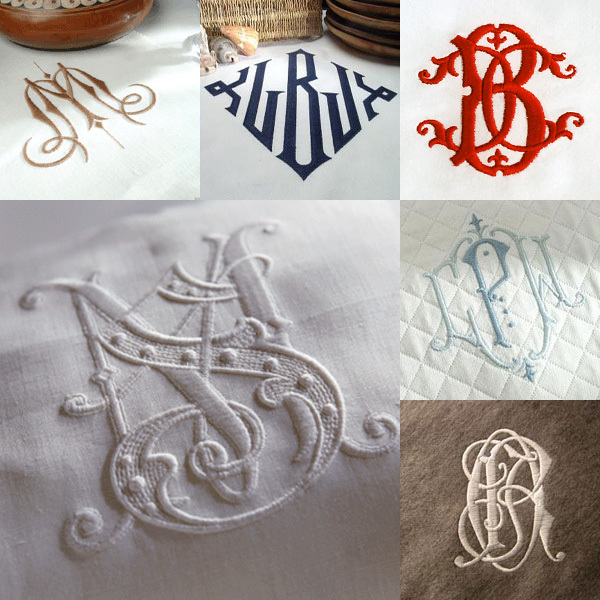 Your monogram work is BEAUTIFUL!! I am from the South and have always taken price in my monogram. Wore it on all clothes in college. Please work with me on something.